Will Obama Ever Leave Office? Rand Paul’s has sent a third Letter to the CIA nominee Brennan asking: Can You Kill with Drones in the USA? There is a very disturbing trend emerging whereby instead of reforming and restructuring the debt where the NY bankers would lose for once, it appears the government would rather wage war against American citizens. 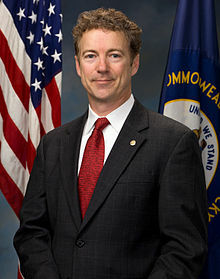 Rand Paul is threatening to filibuster Barack Obama’s nominee for the CIA, John Brennan, because Brennan has refused to answer a simple question that any real American would say no way! Do you believe that the President has the power to authorize lethal force, such as a drone strike, against a U.S. citizen on U.S. soil, and without trial? There can be only one reason Brennan refuses to answer – he supports the view that the President can order troops to kill American citizens without any due process right under the constitution to be heard. This is just unbelievable and in any other century would constitute an act of war against its citizens. This is not by any means a complicated question to answer. It should be a no brainer. The fact Brennan will not answer is very alarming. One has to question whose children do they think are fair game? Their’s or our’s? If Obama is putting people like this up for nomination, we must also ask the unthinkable. Will Obama leave office when his term is up or will he use this new power to stay there? We are holding our Sovereign Debt Crisis Conference on March 16th in Philadelphia. This is the place where it all began. 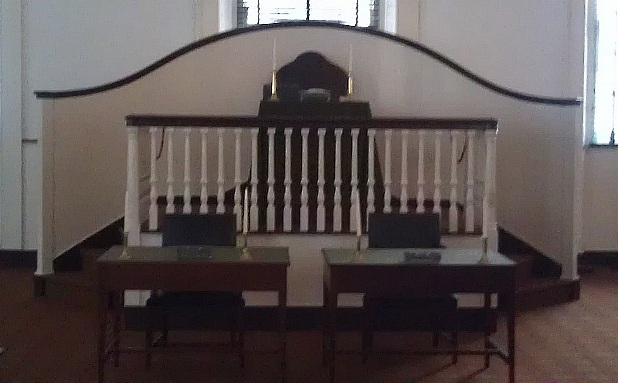 Here is a picture of where Congress met before Washington DC. This is the very spot where John Adams was sworn in as the Second President of the United States. It was the first time power was transferred willingly without war to depose a sitting tyrant or monarch post-Dark Age (it happend once in Roman history when Diocletian retired). One of the most successful forms of government was actually the Republic of Genoa. The state was run by a rich family. However, each year, that executive position rotated among the families. The interesting aspect that emerged was that no one would dare pass any law that was unfair for they knew when power shifted they would be on the receiving end. Consequently, this begs the question what is Obama doing? He has children. Does he really what his own family to grow up in such a country? Expand power in this way allowing the president to just kill Americans under any pretense, what will happen in 20 years or after he is dead? Does he even think about this? Why will nobody just say of course, it is unconstitutional to use troops or drones on American soil against American citizens? The curious thing is they will not even lie. That presents another series of haunting questions that never end. Reprinted below in Rand Paul’s letter. This is becoming a very disturbing event. Is this why our computer has been forecasting the rise of a Third Party for 2016? In consideration of your nomination to be Director of the Central Intelligence Agency (CIA), I have repeatedly requested that you provide answers to several questions clarifying your role in the approval of lethal force against terrorism suspects, particularly those who are U.S. citizens. Your past actions in this regard, as well as your view of the limitations to which you are subject, are of critical importance in assessing your qualifications to lead the CIA. If it is not clear that you will honor the limits placed upon the Executive Branch by the Constitution, then the Senate should not confirm you to lead the CIA. During your confirmation process in the Senate Select Committee on Intelligence (SSCI), committee members have quite appropriately made requests similar to questions I raised in my previous letter to you-that you expound on your views on the limits of executive power in using lethal force against U.S. citizens, especially when operating on U.S. soil. In fact, the Chairman of the SSCI, Sen. Feinstein, specifically asked you in post-hearing questions for the record whether the Administration could carry out drone strikes inside the United States. In your response, you emphasized that the Administration “has not carried out” such strikes and “has no intention of doing so.” I do not find this response sufficient. The question that I and many others have asked is not whether the Administration has or intends to carry out drone strikes inside the United States, but whether it believes it has the authority to do so. This is an important distinction that should not be ignored. Just last week, President Obama also avoided this question when posed to him directly. Instead of addressing the question of whether the Administration could kill a U.S. citizen on American soil, he used a similar line that “there has never been a drone used on an American citizen on American soil.” The evasive replies to this valid question from the Administration have only confused the issue further without getting us any closer to an actual answer. For that reason, I once again request you answer the following question: Do you believe that the President has the power to authorize lethal force, such as a drone strike, against a U.S. citizen on U.S. soil, and without trial? I believe the only acceptable answer to this is no. Until you directly and clearly answer, I plan to use every procedural option at my disposal to delay your confirmation and bring added scrutiny to this issue and the Administration’s policies on the use of lethal force. The American people are rightfully concerned, and they deserve a frank and open discussion on these policies. « Friday – Cuts at Last?